In a statement Friday, Prada said that the images have been removed from the windows of its flagship in Soho and that it "abhors racist imagery." 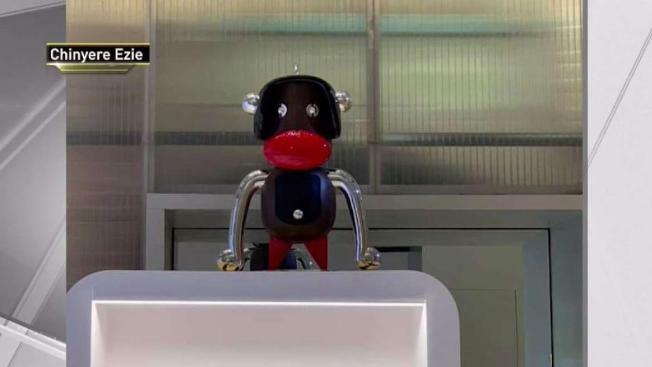 But it added that the items -- which are part of the brand's Pradamalia line and depict a monkey with a black face and bright red lips -- are "certainly not blackface." "Prada Group never had the intention of offending anyone and we abhor all forms of racism and racist imagery," the company concluded in its statement. "In this interest we will withdraw the characters in question from display and circulation." Backlash to the items grew quickly after Chinyere Ezie, an attorney for the Center for Constitutional Rights, posted to Facebook that the items bore a resemblance to blackface imagery used in Jim Crow-era minstrel shows and illustrations. "I don’t make a lot of public posts, but right now I’m shaking with anger," she wrote. "I messaged my mother of all people, 'Hey, is this blackface?'" she said. "Everyone who saw those images was as shocked as I was." Ezrie added that when she confronted store workers, they told her "a black employee had previously complained about blackface at Prada, but he didn't work there anymore." Since Ezie's post Thursday, thousands of people have tweeted using the hashtag #BoycottPrada. Groups have also begun picketing outside the store. "That's unacceptable," said Brittany Cooper, a passerby in the area. "That's blatantly obvious that's blackface." "Prada is trash for this," said Althalie Paynting. "They know better. We all know better. I'm a white person; we know better." Ezie also was unmoved by Prada's explanation and apology. "That sounds no more realistic than people who say Confederate flags are about southern heritage," she said. "We have an obligation to be educated about historical legacies of racism." "The question is who the hell approved this," he said. "They have to apologize. They need to come out and say we fucked up."